Scientists have spotted a huge object flying past Earth and, believe it or not, they reckon it could be an alien spacecraft. 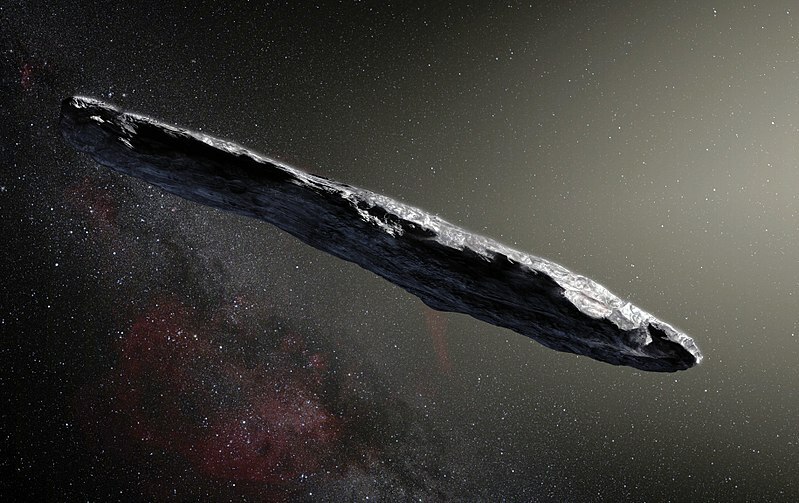 They originally thought the massive, cigar-shaped object was just a weird asteroid but, after a little more research, scientists are now saying it could actually be an artifact from an alien civilization. They also say it’s the first visitor from another part of the galaxy to enter into our own solar system. The mysterious flying object, which has now been named Oumuamua, was first spotted by astronomers from the University of Hawaii when it flew past in October. It’s hundreds of meters long but only one tenth as wide. That’s what made scientists think twice about it being an asteroid, which don’t usually come in such unusual forms. Some researchers then went as far as to say that the shape would be useful for a long-distance spacecraft, due to its dimensions minimizing the chance of being hit by interstellar gas and dust. Researchers from the Search for Extra-Terrestrial Intelligence (Seti) are now getting ready with a powerful telescope to look into Oumuamua, which is named after the Hawaiian word for ‘scout’ or ‘messenger’. A team from the $100 million (£75 million) Seti project, Breakthrough Listen, launched by Russian digital tech mogul Yuri Milner in 2015, will use the Green Bank radio telescope in West Virginia in the United States. A statement from Breakthrough Listen said: “Researchers working on long-distance space transportation have previously suggested that a cigar or needle shape is the most likely architecture for an interstellar spacecraft, since this would minimise friction and damage from interstellar gas and dust. At the moment, Oumuamua is currently about two astronomical units from Earth – twice the distance between the Earth and the Sun – meaning it would take less than a minute for the Green Bank telescope to detect an omnidirectional transmitter with the power of a mobile phone. Even if it doesn’t find any swanky alien technology, the search could at least provide information about gases surrounding the object, as well as the presence or absence of water.